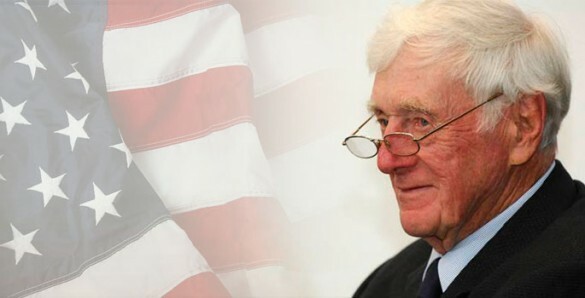 When John Seigenthaler founded the First Amendment Center at Vanderbilt University in 1991, he said he hoped it would help promote appreciation and understanding of the values on which the United States was built. 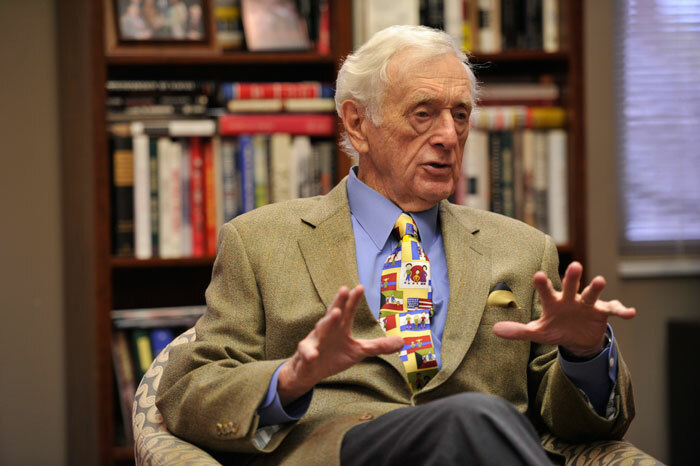 From his base in what would become the John Seigenthaler Center near The Martha Rivers Ingram Commons, the eminent journalist and civil rights champion continued to be a warrior on behalf of the First Amendment while becoming an integral member of the Vanderbilt University community. He died July 11 at the age of 86 after a life that saw him serve as special assistant to U.S. Attorney General Robert Kennedy; suffer a brutal beating by segregationists while attempting to aid 1960s Freedom Riders; become a founding editor of what is now one of the nation’s largest newspapers, USA Today; and win the respect and admiration of generations. “Vanderbilt and I personally have lost a great friend, a sage counselor and a giant of a man whose very life served as a constant example and reminder of the exceptional good one person can do,” Chancellor Nicholas S. Zeppos said. “We were privileged to have him on our campus as the founder of the First Amendment Center and were honored when he chose Vanderbilt as its home base more than two decades ago. “His intellectual vibrancy radiated throughout campus – at gatherings of students, at panel discussions at our libraries, in initiatives with members of our faculty and in chance meetings across campus. John especially loved to engage with our students, and they in turn found his wisdom, his personal story and his genuineness inspiring. 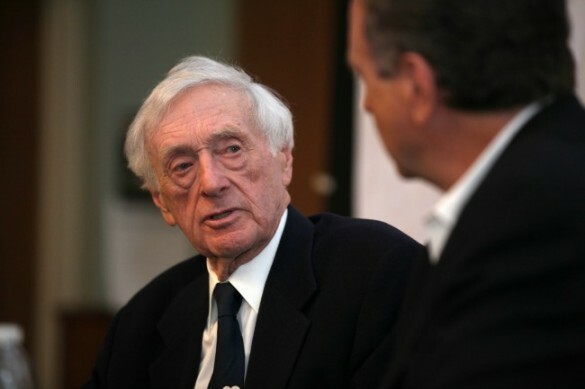 We are a better place for having had John Seigenthaler as a member of our community. The visitation will be held at the First Amendment Center from 3 to 6 p.m. Sunday, July 13. The funeral will be 10 a.m. Monday, July 14, at the Cathedral of the Incarnation. Both are open to the public. In lieu of flowers, contributions can be made to either First Amendment Center or Room in the Inn. Seigenthaler had already established an illustrious career before he became a fixture on the Vanderbilt campus. A native Nashvillian, he began his journalism career at The Tennessean as a cub reporter. While working at The Tennessean, he took classes at Peabody College before it became part of Vanderbilt. He would eventually become The Tennessean editor, publisher and CEO as well as president of the American Society of Newspaper Editors. In his various roles, he served as a progressive voice as the city, the South and the nation confronted challenging times, most notably the struggle by African Americans to win full recognition of their constitutional rights. Under his editorship, The Tennessean won a Pulitzer Prize for a story about corruption involving union and management in the coal industry. When Seigenthaler left journalism briefly in the 1960s to serve in the U.S. Justice Department under Kennedy, his work in the field of civil rights led to his service as chief negotiator with then-Alabama Gov. John Patterson during the Freedom Rides, which challenged outdated segregation practices that had been ruled unconstitutional by the U.S. Supreme Court. In 1961, he was beaten unconscious while attempting to help two student protestors who were traveling by bus through the segregated South escape from a violent group of Klansmen in Montgomery, Alabama. Nearly 50 years later, during a Vanderbilt-hosted bus trip retracing the route from Nashville to Montgomery and Birmingham, Seigenthaler downplayed his role in the historic encounter with characteristic humility. The 2007 trip, intended to revisit history and challenge a new generation to consider how they could be agents for change, brought Seigenthaler and several of the Freedom Riders together with students from Vanderbilt, Fisk and Tennessee State universities and American Baptist College as well as a number of faculty and staff from those institutions. Among those participating was Zeppos, in his role as provost and vice chancellor for academic affairs. Seigenthaler was named founding editorial director of USA Today in 1982, and served in that position for a decade, retiring from both the Nashville and national newspaper in 1991. He retained the title of chairman emeritus at The Tennessean, where he worked for 43 years. That same year, he founded the First Amendment Center with the mission of creating national discussion, dialogue and debate about First Amendment values. The center moved onto the Vanderbilt campus at 1207 18th Ave. S. with the renovation and expansion of a former Peabody College presidential home. Seigenthaler provided his renowned political expertise to several discussions at community events co-sponsored by the Center for the Study of Democratic Institutions at Vanderbilt and the Vanderbilt Department of Political Science. In addition, Seigenthaler recently led off a wide-ranging discussion on the state and future of the media during a journalism roundtable co-sponsored by the Vanderbilt Department of English. In 2013, Seigenthaler and author David Maraniss co-led a conversation at the First Amendment Center about the Gettysburg Address to mark its 150th anniversary. Also last year, Seigenthaler was among the panelists for a Vanderbilt Law School discussion to celebrate the 50th anniversary of the consolidation of the Nashville city and Davidson County governments. A current exhibition at the Central Library, “Fight for Freedom,” highlights inspiring stories relating to the First Amendment and includes historic photos of Seigenthaler working at The Tennessean. 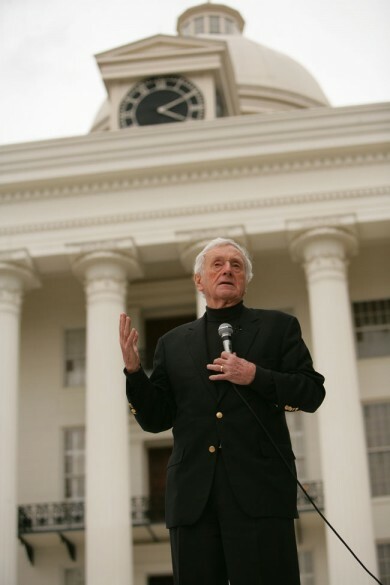 Seigenthaler is among a group of noted journalists who have committed their papers to Vanderbilt Special Collections. Ann Marie Deer Owens contributed to this piece.